GRANDPA'S 10 ACRE FARM. 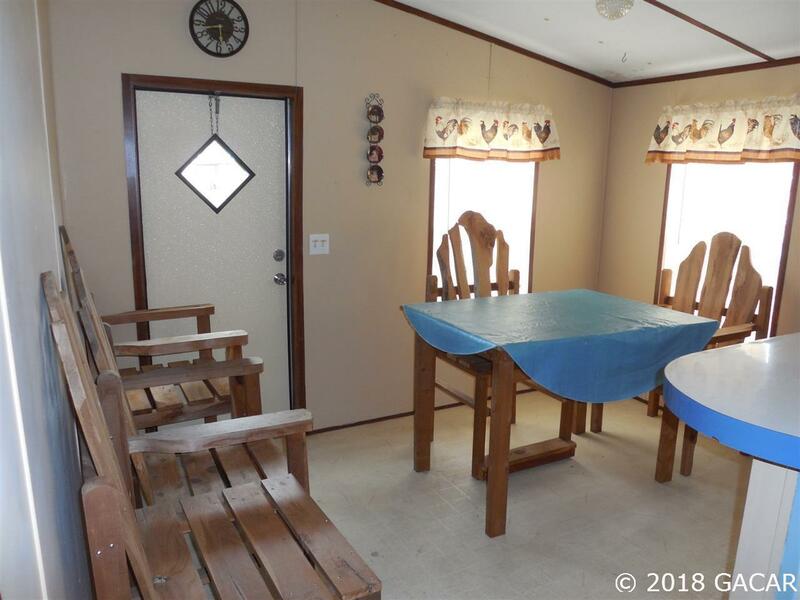 Plenty of peace and quiet surround this medium size double-wide mobile home. 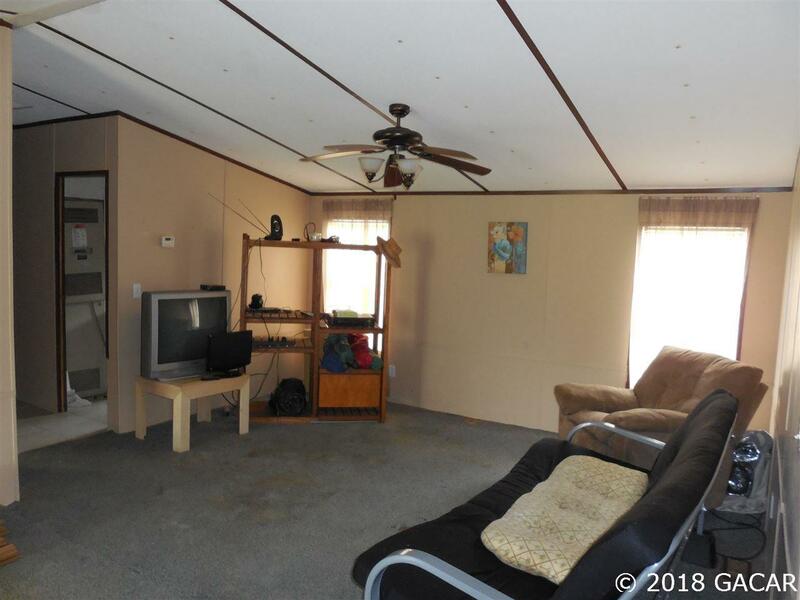 Three bedrooms and two bathrooms are all you really need. Lots of room for the horses or cows makes this the ideal country-living spot as property is fully fenced with 4 paddocks and 2 stalls. Covered front porch is perfect for BBQ afternoons. 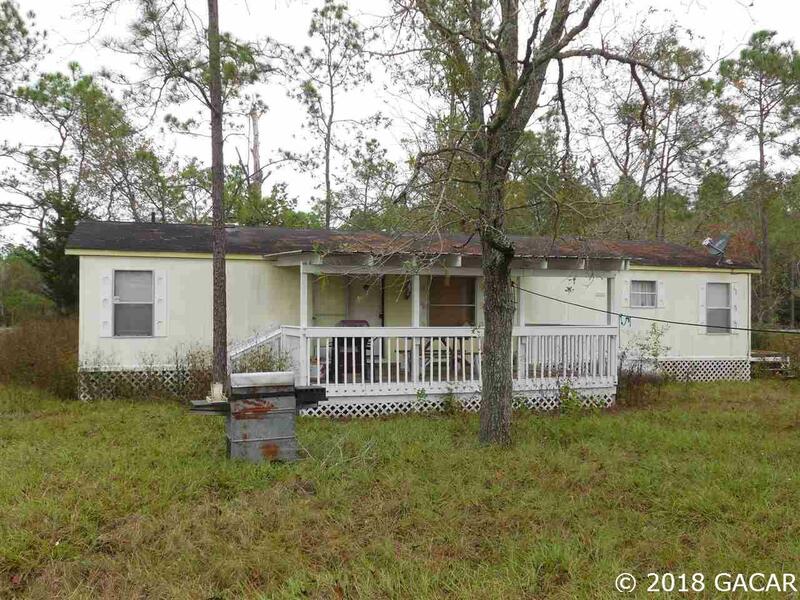 This fixer upper has T1-11 siding, an older shingle roof that needs attention, lattice skirting, and some carpets that need torn out. 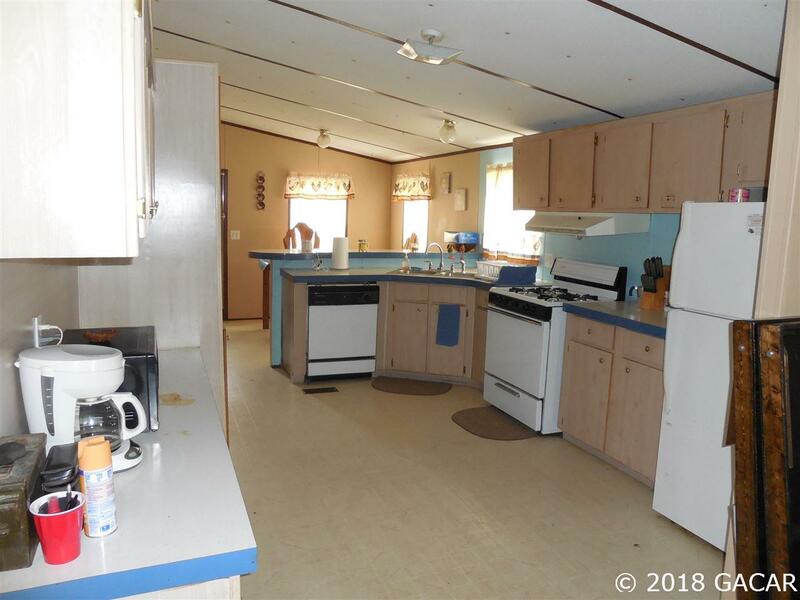 This could be your next house to flip or just a good project to provide a farm/home for you and yours. Lime-rock access road is county maintained. House comes partially furnished if desired.